A forensic pathologist. An attorney. A medical-legal consultant. These noble and esteemed positions do not refer to three separate individuals but rather one all-encompassing figure. The person of whom I speak is the world renowned Dr. Cyril Wecht. This past week, I had the pleasure and privilege of hearing Dr. Wecht speak at an event sponsored by the Whitehall Public Library at the Baldwin High School auditorium. 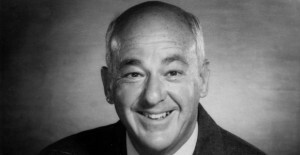 Most notable for his criticism of the Warren Commission report, Dr. Wecht presented his hour long seminar about the assassination of President John F. Kennedy, fifty years after calamity erupted on the streets of Dallas, Texas. “It’s not fair: you can see me, but I can’t see you” Dr. Wecht said to open up his presentation with a laugh. In the dark auditorium, a palpable sense of veneration could be felt for the speaker. Audience members ranging in age from high school students, like myself, to senior citizens who were alive during the assassination, came together to listen to this admirable critic speak. The verbose Dr. Wecht displayed his eloquent vocabulary in such a manner that seemed neither condescending nor boastful but instead seemed to flow naturally from his lips. Even when talking about the most complex of subjects, Dr. Wecht explained himself beautifully, translating Latin medical terms into comprehensible vernacular. With the proper foundation of the time period laid, Dr. Wecht proceeded to describe the gruesome assassination in vivid detail, not as a way to make audience members woozy (though woozy I felt) but as a way to accurately account what truly happened to the president. Following his recollection of what most Americans would deem “facts,” Dr. Wecht advanced into the more controversial part of his presentation: the conspiracy theories. As a strong adversary of the single-bullet theory, or the “magic-bullet theory” as he called it, Dr. Wecht began tearing apart the Warren Commission’s findings and exposing what he believes to be the truth. For the president’s autopsy, two top-notch doctors were summoned at Bethesda Naval Hospital in Washington, DC. Interestingly enough, one of the doctors had never performed an autopsy on a shooting victim, Dr. Wecht pointed out. Prior to this, in Dallas, doctors attempted to save the president’s life through a tracheostomy over a bullet wound in the throat. “Because they [the pathologists at Bethesda] were incompetent, they didn’t see it was a bullet hole” Dr. Wecht sarcastically asserted, to which a response of laughing disbelief was received. Being in the audience that evening had a profound effect on me, and I am sure most of the audience would agree. “A coup d’état in America” were Dr. Wecht’s final words in his presentation. But, what can be learned by sitting in a meager one hour lecture? From a millennial’s standpoint, it is that America was created by the people in power, for the people in power. There is no limit to the evil and malice that pervades the world, going as far as devaluing and ending human life. With the atrocities of the past seared into the backs of our minds, there is something we all must do: learn from and avoid the mistakes of the past, for the future lies in the hands of the beholder.